CITNJ – CITNJ police based crisis intervention training with community mental health care and advocacy partnerships. Crisis Intervention Team (CIT) brings community stakeholders together to provide a safer and more effective response to people with mental illnesses who are in crisis. CIT is transforming communities across the nation by helping to improve access to mental health services. CIT is a strong collaborative voice helping to maintain community resources for mental health and substance abuse services. CIT programs across our nation are building and improving linkages and infrastructures necessary to connect people with mental health resources. CIT is more than just training. We are a community of partners working together to improve people’s lives through education and advocacy. CIT is working to eliminate stigma so people can seek and receive the help they need in times of mental health crises. When and Where is Training Offered? Who Can Attend Training Course? Is there a Course Certification? Crisis Intervention Training (CIT) is a 5-day 40 hour certification course that is very intense and interactive. 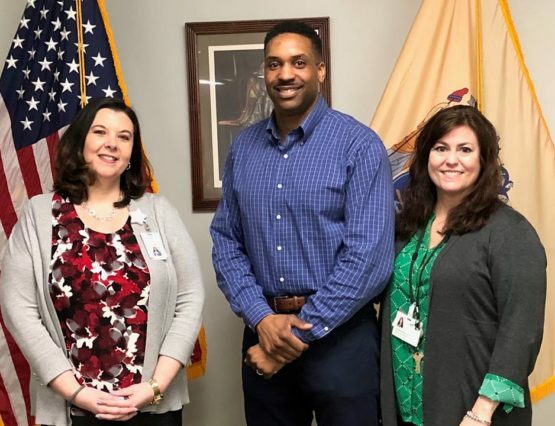 Established in 2007, the NJ CIT Center of Excellence supports and assists counties throughout the state in developing the CIT program for their communities. The Crisis Intervention Team (CIT) program is an innovative international police model that incorporates collaboration between the community’s law enforcement system and mental health system to respond to the needs of those in psychiatric crisis. This partnership develops and sustains a 40 hour CIT certification program for its police departments and mental health providers in order to provide them with knowledge about mental illnesses, crisis resolution skills and access to community based services. For more information about CIT NJ training contact CIT NJ Director Edward C. Dobleman. CIT is a program of the Mental Health Association in Southwestern New Jersey. It is funded through a contract with the NJ Division of Mental Health and Addiction Services.